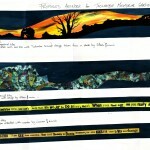 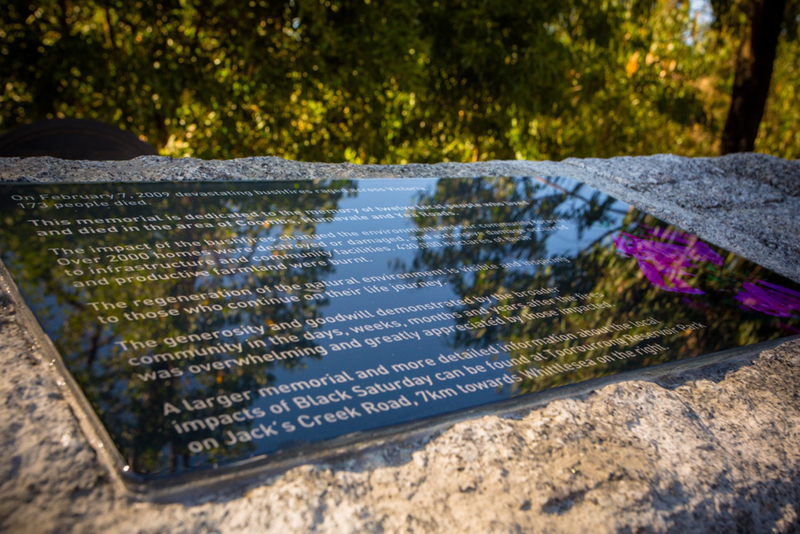 The township of Toolamba was devastated when two sisters Colleen and Laura Irwin were murdered in January 2006. 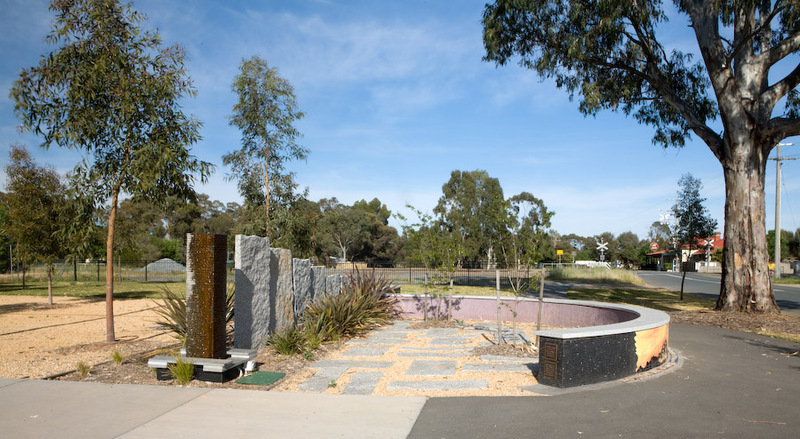 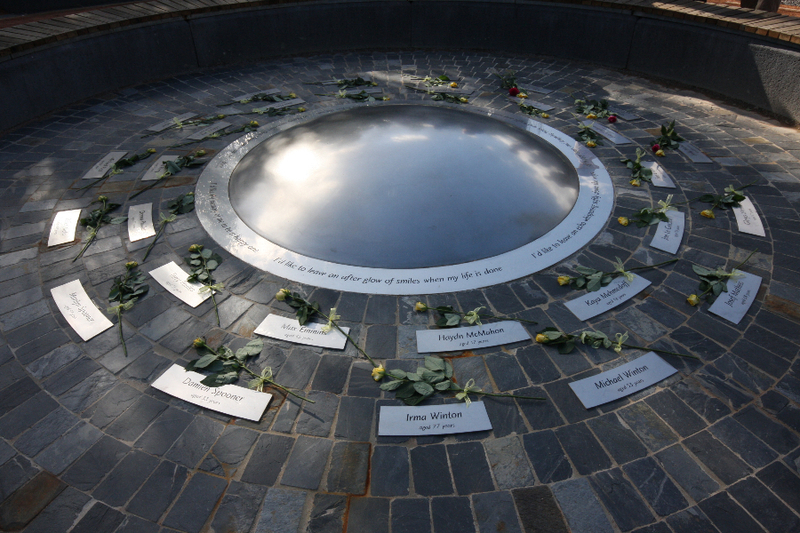 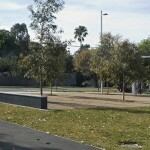 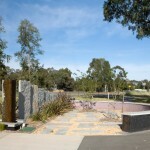 The community approached Council requesting assistance to develop a memorial, and Urban Initiatives were able to integrate a new plaza at the centre of town within the urban design framework which was already underway. 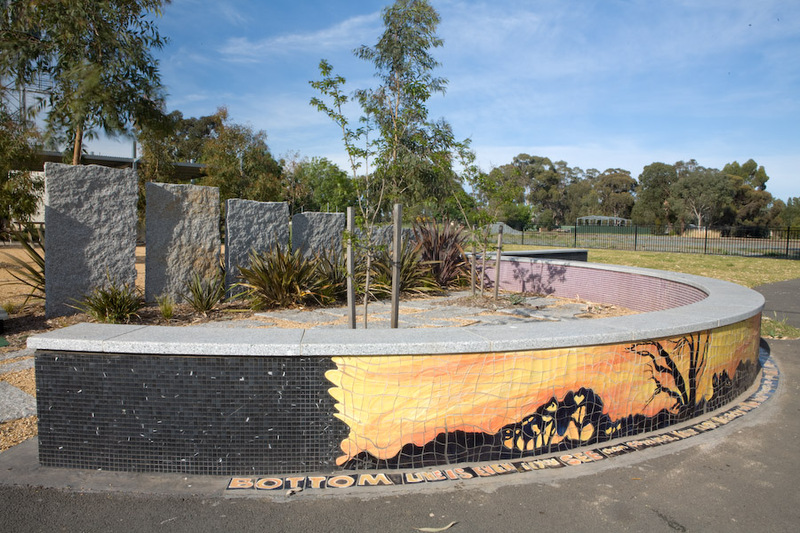 This plaza was designed to become a place of reflection and healing, especially for the youth of Toolamba, and is an intimate space within the town’s central park. 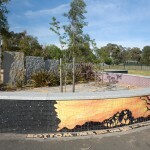 Artwork and poetry by the Irwin sisters was interpreted by local ceramic artist Angie Russie to form a very personalised decoration for the semi-circular seating walls. 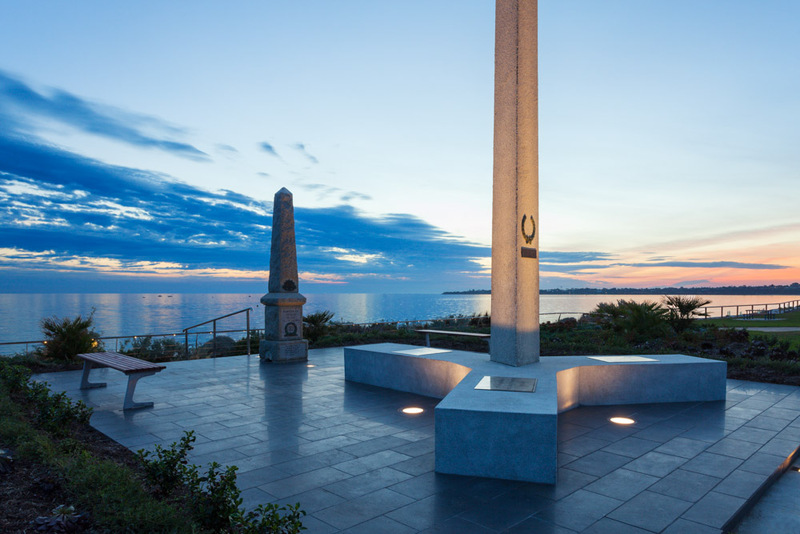 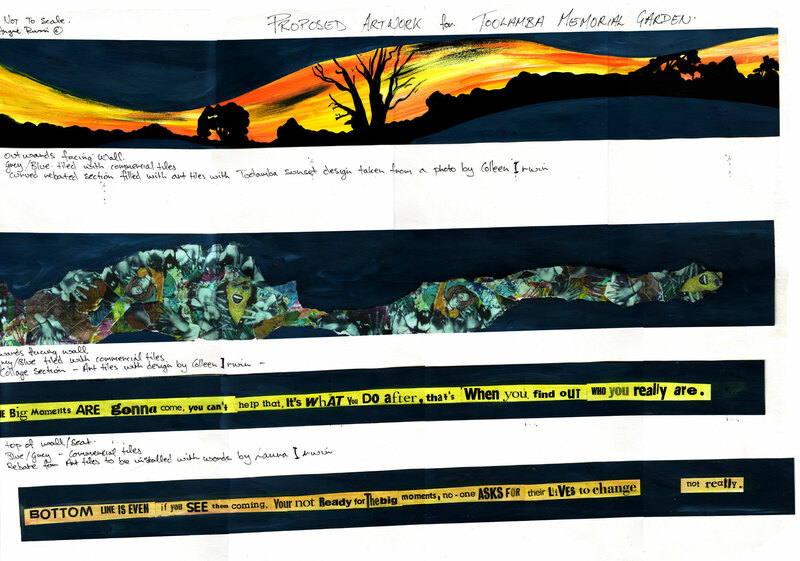 The brilliant skies and sunsets which the girls loved are also reflected in the memorial, as well as two specimen trees which flower around the anniversary of the girl’s passing.